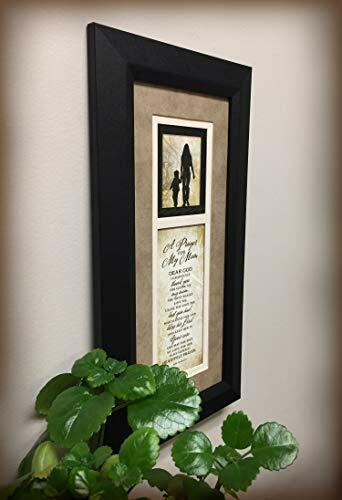 Framed art features silhouette designs and an inspirational verse. Easily fits on a shelf or wall. Individually boxed and hanger for hanging. Measures 8″ x 16″. A Prayer for my Mom – Dear God I gratefully thank you for giving me my Mom, you must really love me ’cause you gave the best you had. Watch over her and Bless her Lord and keep her in your care, and may she feel my love for her is my humble, heartfelt prayer. 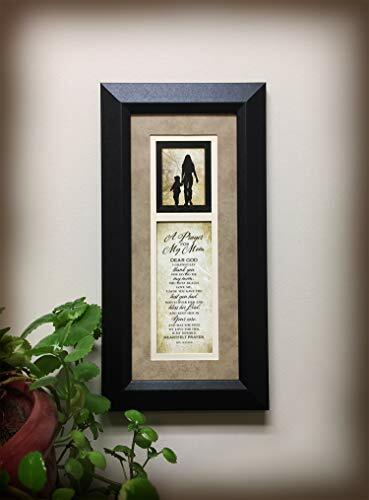 Ron Tranmer MADE IN THE USA OF THE FINEST MATERIALS – This Mom Prayer is 100% made in the USA, we believe in quality and only sell products that last for a long time, our Wood Frame is made of finest wood that looks elegant, it will never fade or break easily. James Lawrence Co. Ltd. has been manufacturing unique products for the gift market for over twenty-five years. Each piece is handcrafted to ensure that your customer is receiving the quality they deserve at an affordable price.  ELEGANT VERSATILE DECORATION – Looking for a nice wall decoration for your mother with a beautiful meaningful quote? Includes a hanger for hanging. This is the perfect product for mom. It will inspire her every time she reads it. Measures 8 inches x 16 inches x .75 inches.  INSPIRATIONAL QUOTE – Inspirational quotes are important words that have a special meaning. Its easy text to read for adults and children. The quote is written by Ron Tranmer and says; A Prayer for my Mom – Dear God I gratefully thank you for giving me my Mom, you must really love me ’cause you gave the best you had. Watch over her and Bless her Lord and keep her in your care, and may she feel my love for her is my humble, heartfelt prayer. 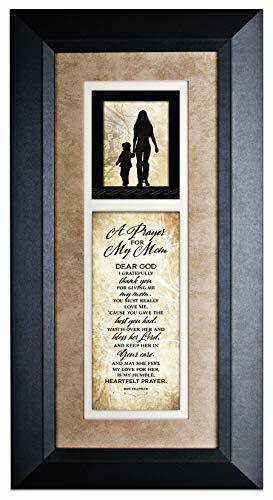  A GREAT GIFT FOR MOM- This amazing Wood Frame with Inspirational Words Quotes is a lovely gift for any mom that you care about. It is perfect to give away on birthdays, Christmas, Mother’s Day and much more.  MONEY BACK GUARANTEE – We got you protected. Your purchase includes free replacement or 30 days Money Back Guarantee. If you for any reason do not like your brand new product, simply return it for a FULL REFUND or replacement.